There’s plenty of different ways to celebrate the holidays but one thing most cultures have in common is the big, shared meal such as the gathering of friends and family around a table on Christmas Day. 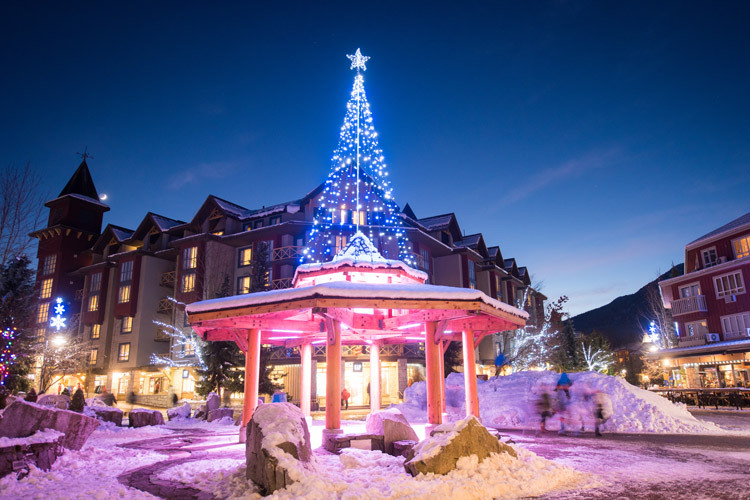 Here in Whistler, it’s common for visitors, seasonal workers and people in the community to be away from their extended families over Christmas, leading to new traditions like the ‘Orphan’s Christmas’ where people create mini-families to ensure no one is alone on the day. 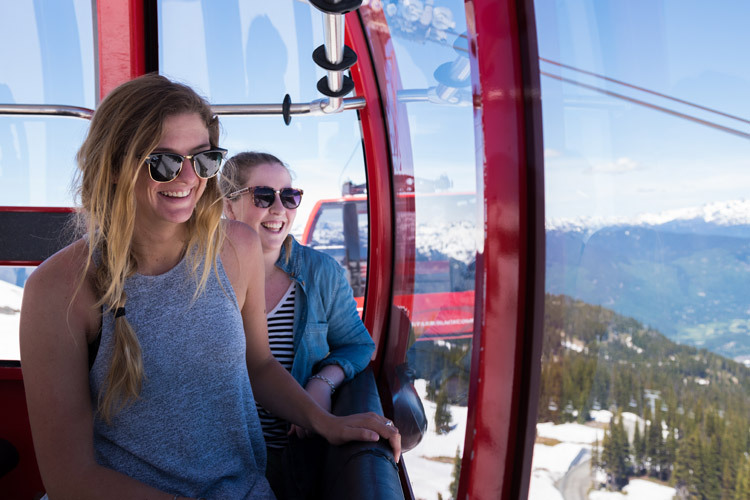 That same home-away-from-home feeling is extended to Whistler’s visitors too, with restaurants and hotels laying out feasts to be shared by people from around the world. Whether you’re staying in a cabin, a condo or a hotel room, you’ll find a warm welcome and a place at a table – or everything you need to recreate your family meal. We’ve already covered planning the Christmas vacation, so here’s the follow up guide to Christmas dinner (or lunch, or brunch) in Whistler. Canadian Christmas Dinner – What’s on the Menu? Traditional Canadian Christmas dinners feature such goodies as roast turkey with stuffing, baked ham, mashed potatoes, various roast vegetables, Brussels sprouts (with bacon and maple syrup for an extra Canadian twist) and cranberry sauce. Don’t forget the gravy! Dessert is likely to be a pumpkin or pecan pie served with mounds of whipped cream, maybe with an apple pie or trifle thrown in as well. Insider Tip: Fondue and Raclette are also common mountain meals over winter, perfect for sharing. Keep an eye out for dinner-and-adventure pairings like the snowmobile/snowcat and fondue tour from Canadian 01. As a resort town, Whistler is open all the way through the holidays and with over 100 places to dine and both lunch and dinner on the cards that’s plenty of tables to pull up to. 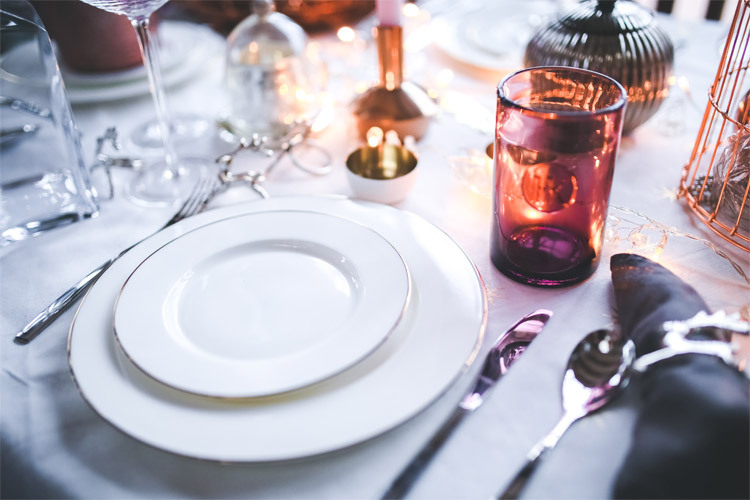 The advantages of dining out for the big holiday meal are clear – no cooking, no cleaning, no driving to around – just pure enjoyment and quality time. Each venue has a different menu as well, which means while you are almost certain to get your roast turkey, you might also be able to choose prime rib and Yorkshire pudding or a little fish dish. Formats vary, with everything from multi-course plated meals to set menus (yes! no decision fatigue!) to all-day buffets. We’ll add a collection of menus for Christmas dinner here as we get close to the end of every year and the menus are released. Insider Tip: Reservations are highly recommended and the earlier you book the better, particularly if you have a big group to feed – that goes for Christmas dinner delivery as well, see below. 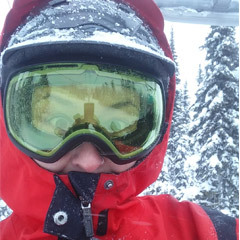 Also read Avoid Being Hangry: Dining in Whistler over Winter. This is a great option if you want to stay in for the meal, but don’t want to cook. There are several places in Whistler doing catered, pick up and delivered Christmas dinners that offer all the benefits of a hearty home-cooked meal but without the need for you to be stuck to an oven, meaning you can keep your time free for skiing, socialising and resting with friends and family. Plus if you dine at home you can ski right off the hill and eat dinner in your baselayers or onesie for maximum comfort. But do wear your best ugly sweater and new socks – it is Christmas after all! Check the requirements for each meal against your accommodation, some elements may require heating. Maybe check the cupboards in case you want some fancy serving dishes too (see Last Minute Supplies, below). Liquor stores are found in the Village, Upper Village, Creekside and at Nesters for stocking up on Christmas cheer (Mulled wine is easy to make and very warming). If you are missing any key cooking equipment or looking for festive table decorations the grocery stores carry a range of items. Whistler Kitchen Works in Marketplace, the Whistler Hardware store and Skitch are also worth a look for unique decorations and supplies. Senka Florist in the Village has beautiful flowers if you prefer the natural look and 122 West in Creekside has a gorgeous range of candles and décor to create the most elegant table away from home you could possibly imagine. Those who feast know that movement is required to both work up the appetite and prevent the dreaded post-dinner slump. 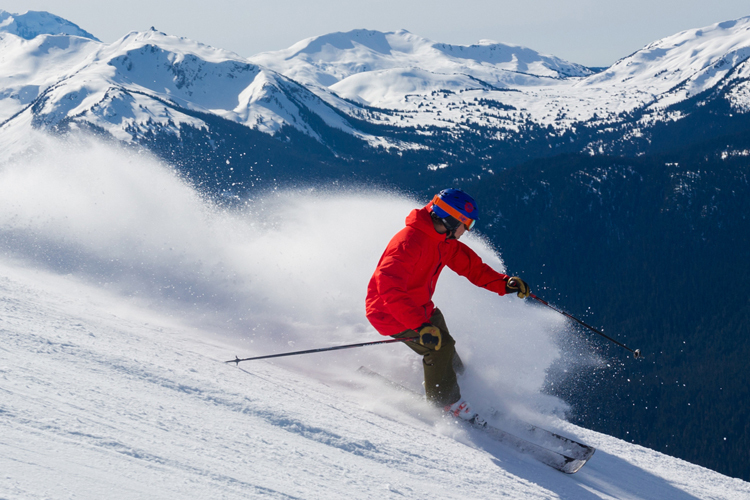 Luckily both Whistler and Blackcomb Mountains are open for skiing every day of the holidays, and a couple of pre-dinner laps with a bit of tinsel on your helmet are an ideal way to start the day. Other ways to get the blood moving and some fresh air and snowy pictures are a vigorous cross country ski, a snowshoe around Lost Lake or a little snowman building and ice skating at the Whistler Olympic Plaza rink. If you want to keep the group together and keep it mellow a walk on the Valley Trail, or a stroll through the Village looking at the lights are family-friendly ways to get moving and soak up the winter wonderland. Grabbing a hot chocolate or spiced coffee as you wander is a fantastic way to stay toasty. Insider Tip: Adults, add a glug of Baileys or maple cream whiskey to your coffee for extra warmth. 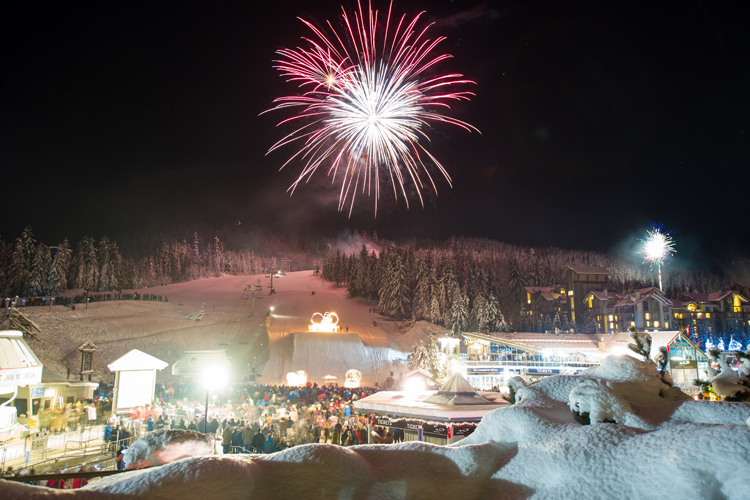 Whatever you end up doing on Christmas Day for a meal you’ll be among people from all nationalities enjoying the holidays – your Whistler family. Remember it’s not what’s under the tree, but who’s around it that matters. So get in and make plans for dinner early so you can relax, spend time with those you love and not miss a single moment worrying about the turkey. 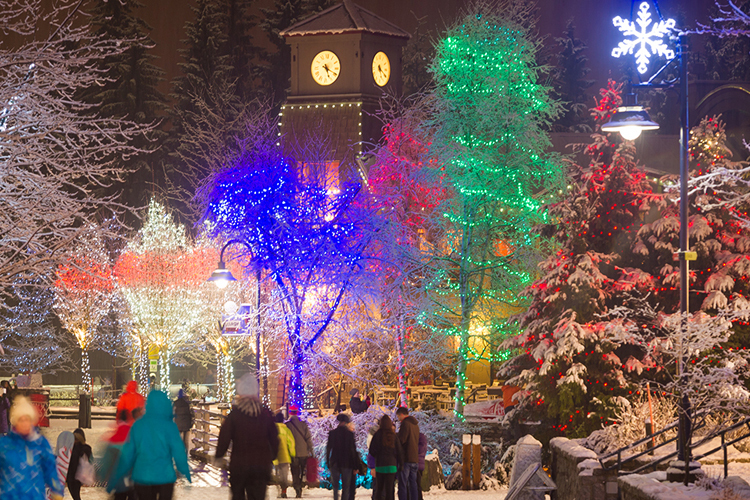 We’re getting ready to deck the halls and go dashing through the snow for the holidays – for more information on events happening over Christmas and New Year’s in Whistler, visit Whistler.com. Don’t forget to give those hard-working lifties, servers, chefs and everyone else working over the holidays a high five for keeping everything running!